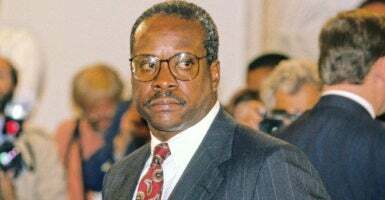 The late-breaking allegation against Supreme Court nominee Brett Kavanaugh in some ways mirrors the explosive claims preceding Justice Clarence Thomas’ confirmation in 1991, legal experts say. At the same time, the two matters are strikingly different. “Democrats are hoping to return to a time of leveling attacks at the nominee, not for discussion of their judicial approach, but last-minute allegations and character assassination,” said Carrie Severino, chief counsel and policy director for the Judicial Crisis Network. “This is not what happened with Merrick Garland, Elena Kagan, or Sonia Sotomayor,” she said, referring to nominees of President Barack Obama. After testimony ended in the Kavanaugh confirmation hearings and a week before a scheduled vote by the Senate Judiciary Committee, Sen. Dianne Feinstein, D-Calif., the committee’s ranking member, issued a press release with vague allegations. Kavanaugh accuser Christine Blasey Ford then came forward to The Washington Post, allowing herself to be identified for a Sunday story in which she alleged that an intoxicated Kavanaugh attempted to sexually assault her at a party when the two were teenagers. Anita Hill’s accusations against Thomas emerged from a leaked FBI background report about her complaint of sexual harassment by Thomas. Both were adults at the time of the alleged offenses and Hill did not allege any physical assault, but unwelcome sexual advances. “This allegation [against Kavanaugh] was released at the worst possible time to impact the timeline,” said David Rivkin, a Washington lawyer who served in the White House counsel’s office for President George H.W. Bush, who nominated Thomas. “I’m not saying I give credence to the Anita Hill allegations. But at least procedurally, things were done in a more transparent fashion,” Rivkin told The Daily Signal. Anita Hill worked for Thomas. He could defend himself against specific allegations arising out of his interactions with her. Kavanaugh’s accuser doesn’t name a specific date or location where Kavanaugh allegedly assaulted her. They have absolutely no professional or personal ties. It is not clear that they have ever even met. This is a situation where it is difficult for someone to defend oneself; it essentially involves proving the negative. In the case of Hill’s accusations, the Senate Judiciary Committee already had voted 7-7 on Thomas and sent his nomination to the Senate floor without a recommendation. After the story of Hill’s allegations broke, the committee—then chaired by Sen. Joe Biden, D-Del.—heard three days of testimony from Hill and Thomas. Sixty-five women who say they knew Kavanaugh when he was in high school sent a letter to Feinstein and to Judiciary Chairman Charles Grassley, R-Iowa, vouching for the judge’s character. Two women who said they dated Kavanaugh also issued statements. Kavanaugh said he is willing to answer related questions from the Judiciary Committee, and Ford’s lawyer said her client also is willing to take questions. Grassley told radio host Hugh Hewitt on Monday that Ford had not responded to committee requests for her appearance. I wish the Democrats could have done this a lot sooner, because they had this information for many months. And they shouldn’t have waited till literally the last days. They should have done it a lot sooner. But with all of that being said, we want to go through the process. One thing I will say is that as I understand it, Judge Kavanaugh spent quite a bit of time with Senator Feinstein, and it wasn’t even brought up at that meeting and she had this information. So you would have thought certainly that she would have brought it up at the meeting—not wait until everything is finished and then have to start a process all over again. But with all of it being said, we want to go through a full process. The timing seemed aimed at delaying the committee vote, Rivkin said. 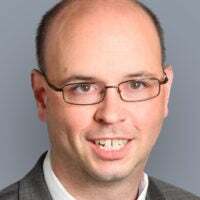 “Given the combination of procedural and substantive problems, this was clearly very well planned; otherwise, we would have to conclude that it was incredibly coincidental, and this is highly unlikely,” Rivkin said. Severino, of the Judicial Crisis Network, said she thinks Democrats demonstrated a clear goal of blocking the Kavanaugh nomination at any cost, noting comments from Senate Minority Leader Charles Schumer, D-N.Y.
Kavanaugh has issued two absolute denials, the second one after Ford’s name came out. This is a circus. It’s a national disgrace. And from my standpoint, as a black American, as far as I’m concerned, it is a high-tech lynching for uppity blacks who in any way deign to think for themselves, to do for themselves, to have different ideas. And it is a message that unless you kowtow to an old order, this is what will happen to you. You will be lynched, destroyed, caricatured by a committee of the U.S. Senate rather than hung from a tree.